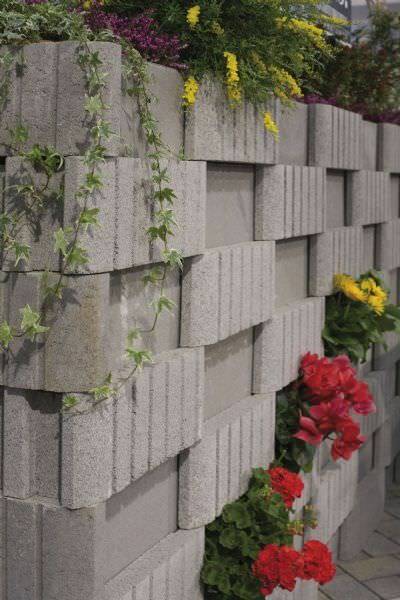 GREEN WALL is made from concrete blocks studied have a very low environmental impact. 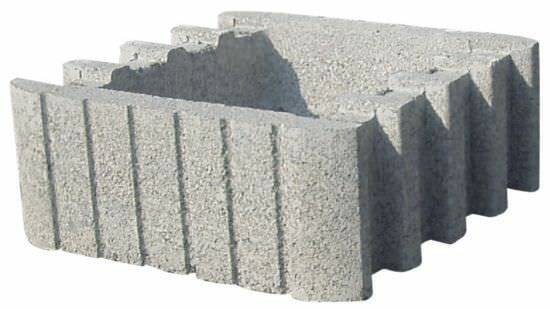 The retaining block has an excavated form, favoring the use of less material during the production phase, and has been designed for the planting of different varieties of plants to form ledges and vertical green walls. The block is finished on both sides making it perfect for use in a retaining wall as well as for diving walls. Thanks to this modular system with standard and special pieces, it's even possible to create tight curves. 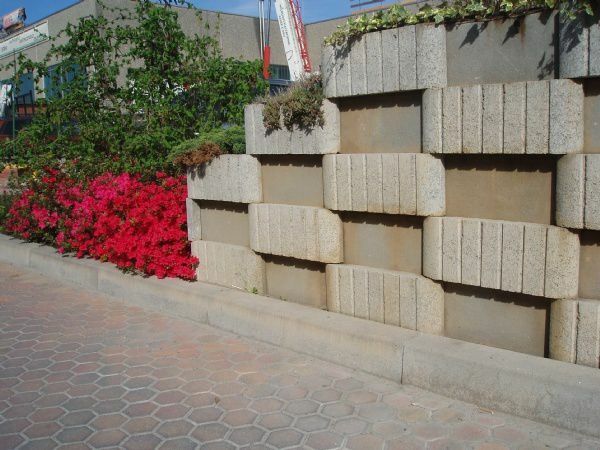 Retaining walls made out of GREEN WALL can be installed staggered to create ledges with different inclinations. 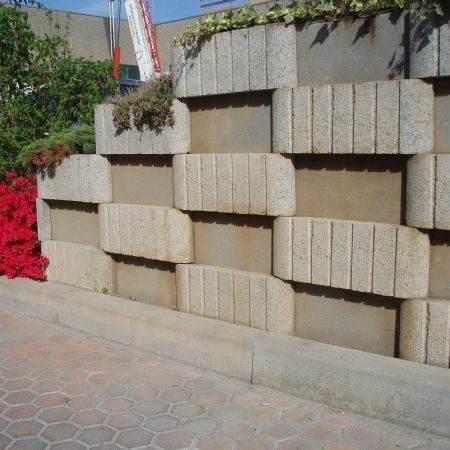 The height of the retaining walls vary depending on the inclinations. 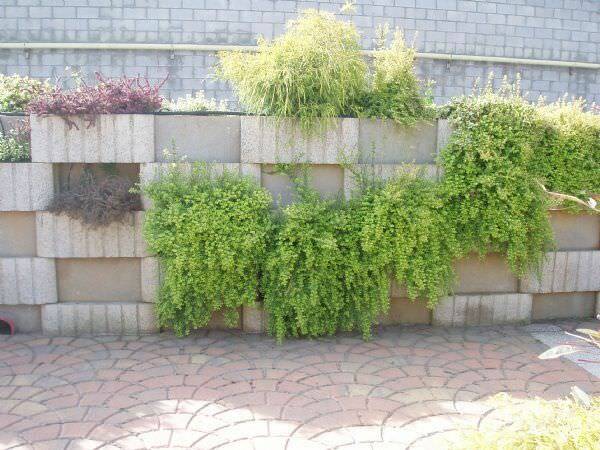 GREEN WALL is a true green wall that allows for a variety of plant species to grow. Thanks to the possibility of creating even the tightest curves, the architectural possibilities are endless. It's particularly adapted for private use, in gardens, in urban landscaping and also as an acoustic barrier.